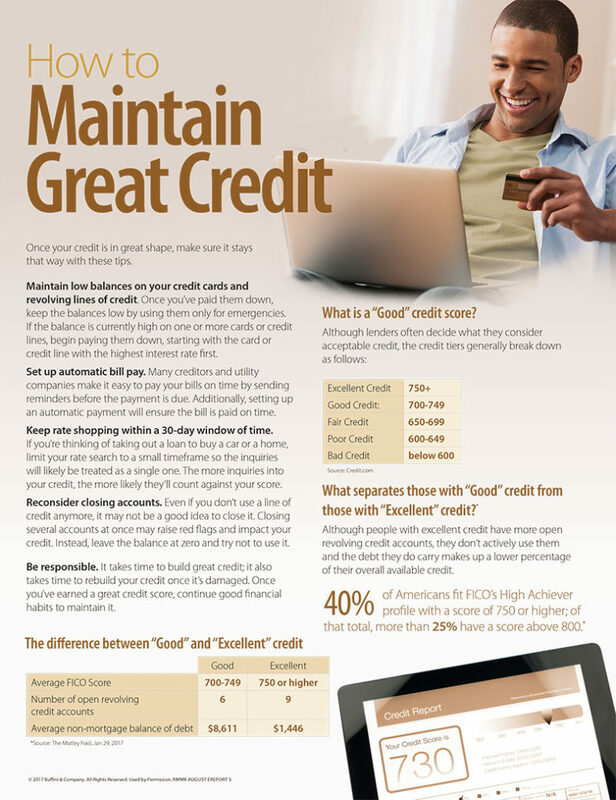 This month I’m sharing five tips to help you improve your credit score. From reviewing your credit history and addressing inaccurate or incomplete information to paying down debts and keeping a budget, these tips are sure to help you repair negative history and boost your future credit. With effort, time and patience, you’ll be well on your way to great credit.